Is there anything better than curling up with a good book? No, I think not. Throw a cup of tea and some blankets into the mix and you’re onto a winner. 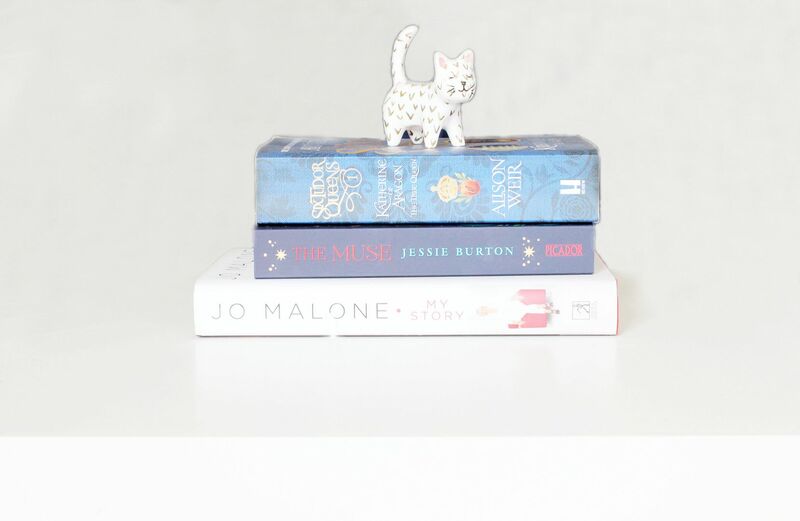 I’m always up for finding some new reads, so I’m sharing three of my most recent reads that had me eagerly turning the next page. A must-read for anyone interested in perfume, Jo Malone: My Story is a fantastic easy read with plenty of details on how Jo started her perfume empire, sold it (regretted it) and then started another perfume empire. It’s really interested, and made me keen to try out some of the Jo Loves line because her passion is so evident. I like reading autobiographies, but especially when written by such an inspiring figure in the beauty business. If you like really engaging fiction, The Muse is well worth a read – Jessie Burton is a really fun storyteller. It’s a nice blend of history, art and mystery and definitely kept me entertained on my commute. Major fact about me – I will read absolutely anything to do with the Tudors, having been obsessed with all things 15th and 16th century since I was about five. A piece of fiction from the fantastic Alison Weir always catches my attention and the Six Tudor Queens: Katherine of Aragon is my latest obsession. It’s part one of six, so I’m (im)patiently waiting now for the second instalment. It’s a fascinating insight into Queen Katherine’s life from her very first steps onto English soil to post-divorce. Very good, and clearly impeccably researched.